Japanese people have this endless attraction for romantic stuff. While Japanese people celebrate Valentine's day almost as a social obligation, Christmas Eve plays the role of party night for lovers. In this quest for romance, western marriage's (结婚 / kekkon) popularity has increased drastically since the end of the 1990s. 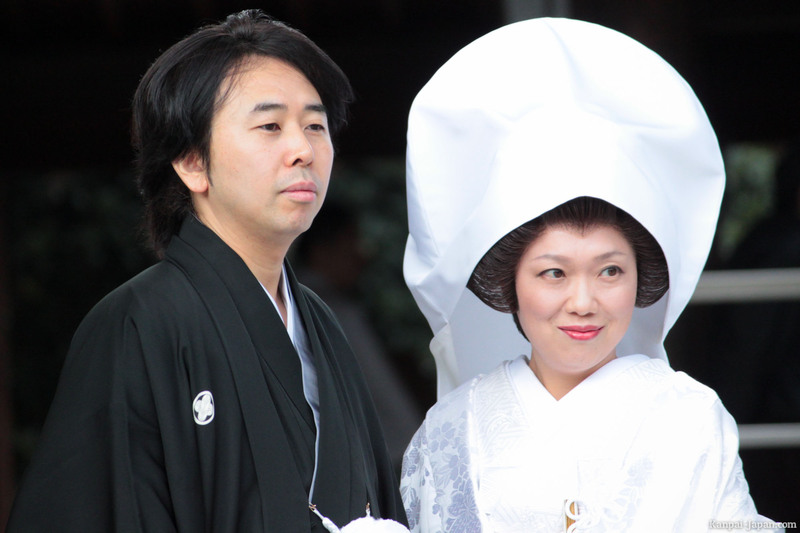 The Japanese gradually swap the kimono for a white wedding dress and a western smoking. They even build churches or chapels to host weddings for Japanese who know absolutely nothing about Christianity. No matter everything's fake: they even want the priest, as long as everything is as pure and romantic as possible. Even if less than 2% of Japanese people claim themselves as Christians, for others no conversion is thought of. 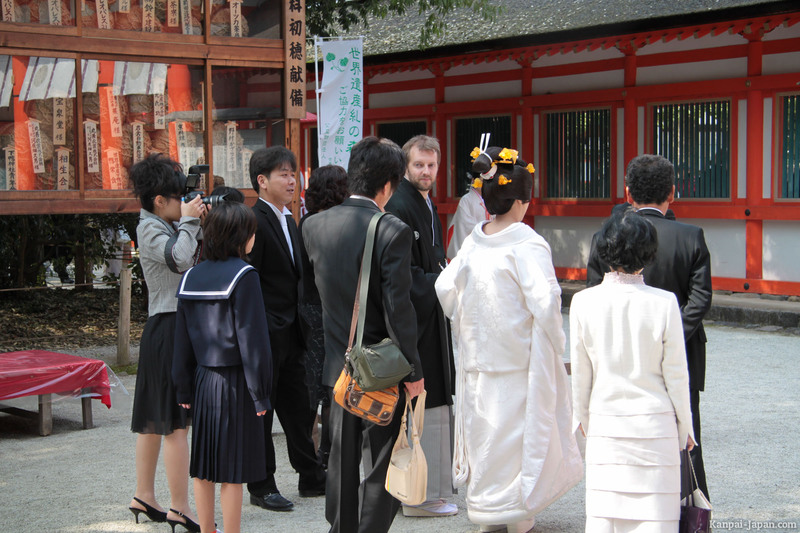 More and more wedding in Japan are celebrated Western style, and even directly abroad during the honeymoon (offered by many Japanese travel agencies). This helps reduce the weight of traditions and especially the important cost related to traditional ceremonies. Marriage customs in Japan have evolved a lot. The Japanese are marrying later and later: on average, almost 30 years for men and a bit sooner for women. The number of weddings has been declining for some time and is estimated at about 700,000 per year (it was more than a million 40 years ago). Also, there's more divorce (离婚 / rikon) than before in Japan: over 250,000 divorces per year, a statistic almost three times greater than that of the 1970s. Arranged marriage (見合い / miai) has decreased in favor of love marriage (恋爱 / ren'ai). A quarter of marriage candidate Japanese couples were formed in the workplace. Since the 2000s, the Internet gradually helped more with dating sites or social networks: Gree, Mixi, and also Facebook which has pierced sharply in Japan since 2011. The religious ceremony of a traditional wedding comes weeks to months after the civil marriage. This one is a mere formality: a document to file at the metropolitan building even without the presence of both spouses. 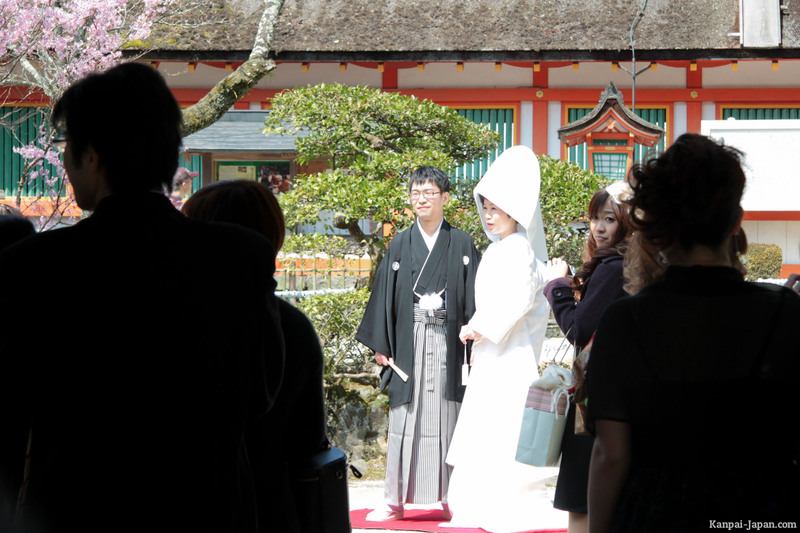 But Shinto traditions die hard and a lot of Japanese people still get married according to the rites in Shinto Shrines (神前结婚 / shinzen kekkon). 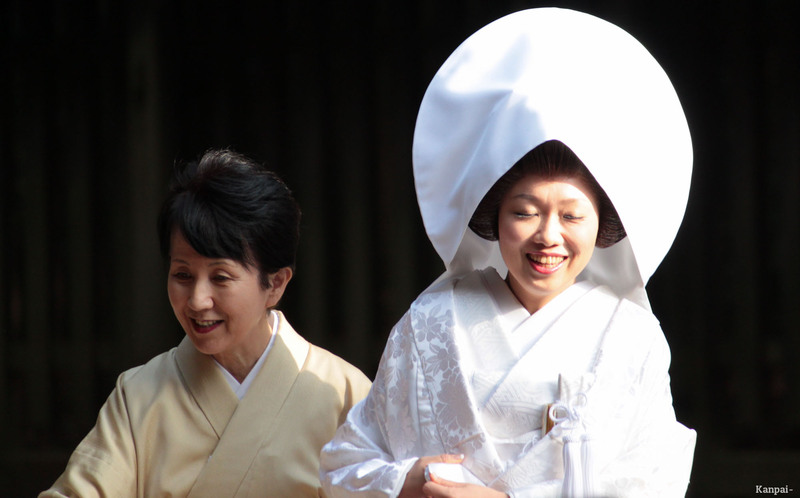 For this, the bride (嫁 / yome) gets help for her physical preparation. 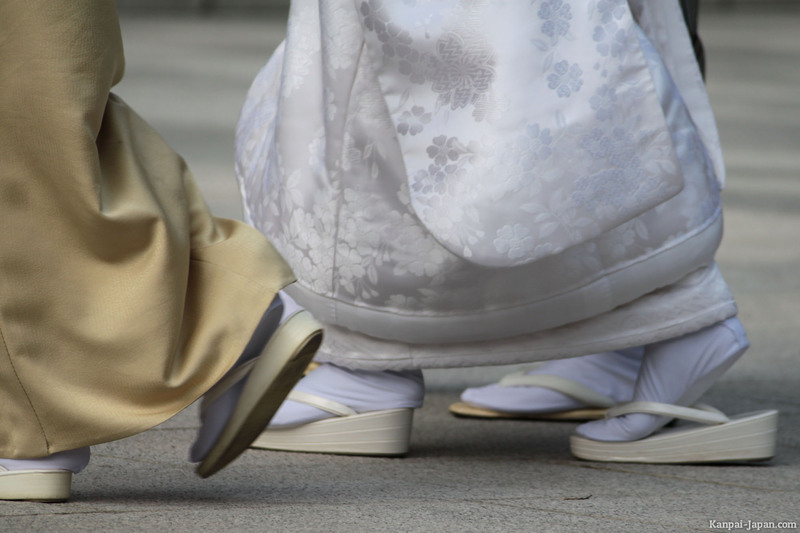 She wears a white long-sleeved kimono (白无垢 / shiro-muku) and sandals called zori. She also wears a white makeup on both face and neck to look pale, but not as marked as a geisha. It uses the famous 油取り紙 / aburatorikami, matting small papers that allow retouching on the face while absorbing the skin brightness (and not just on the wedding day!). The groom is traditionally dressed in dark colors. 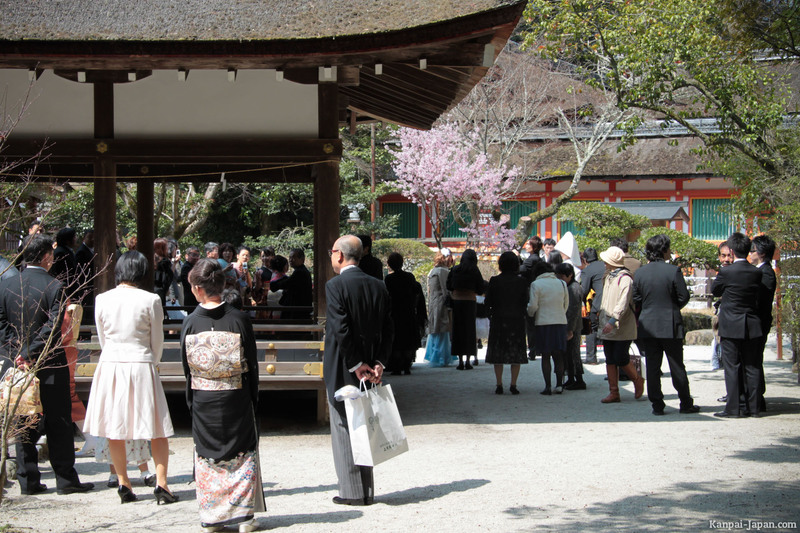 It's possible to attend (part of) a Shinto wedding ceremony during your trip to Japan. 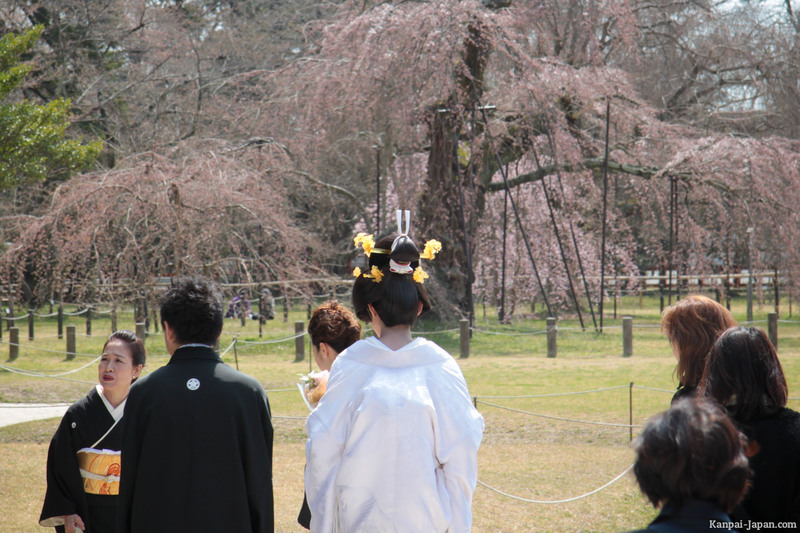 We suggest you go to Meiji Jingu Shrine in Yoyogi Park near Harajuku to see a procession. 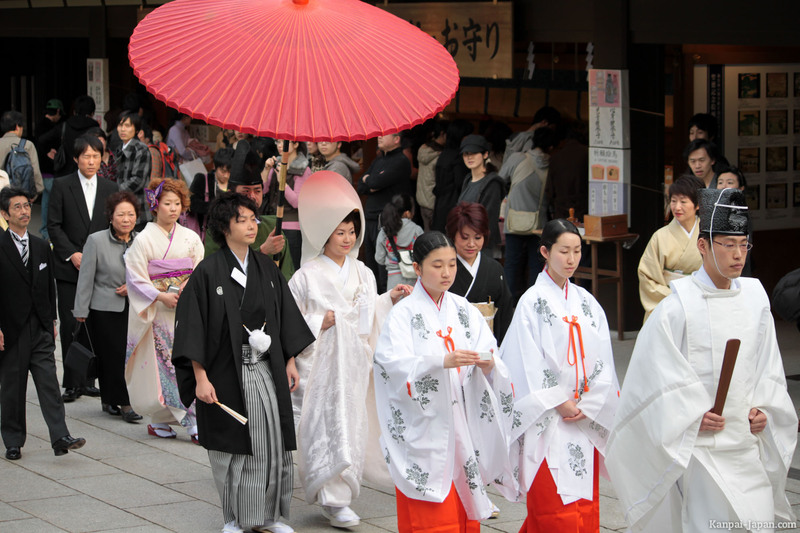 You can see the spouses, preceded by the Shinto priest and his assistants, the 巫女 / miko dressed in red and white. The ceremony that follows, more private, is very codified. Be careful because Japanese people are quite superstitious and apart from October 10th, when no god / spirit (神 / kami) is available, they carefully choose the day of the ceremony. You should refer to this schedule and therefore be there on good days, when you can certainly attend several weddings in a row! 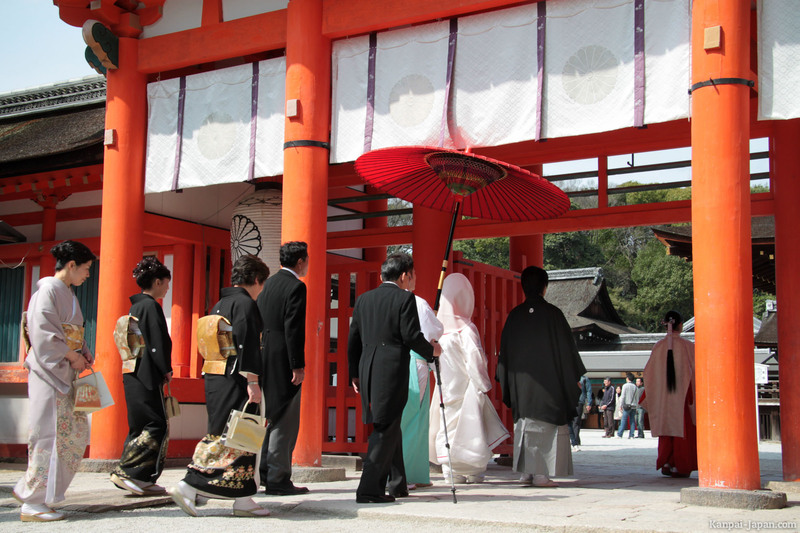 Here are some pictures of traditional shinto weddings, which we took in both Tokyo and Kyoto.